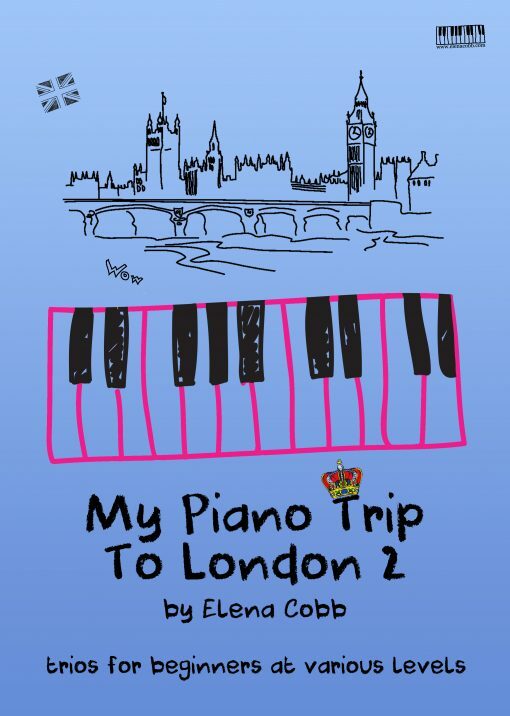 London is one of the most exciting cities in the world and every trio in this book was inspired by its distinguished landmarks, illustrious history and, not to forget, famous English sense of humour. 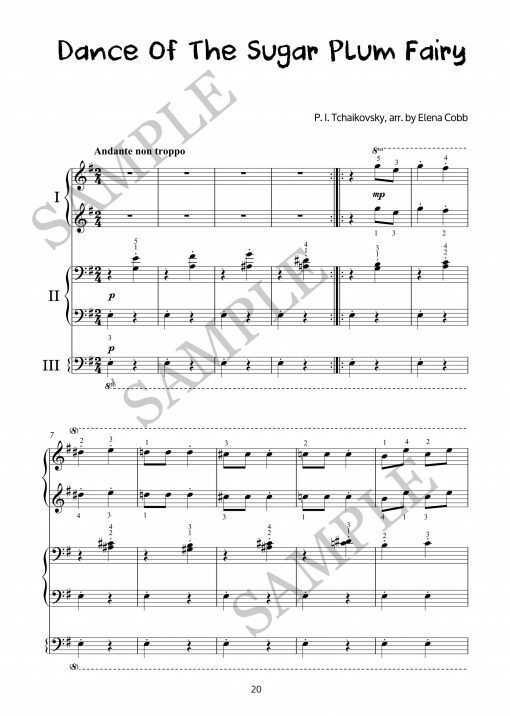 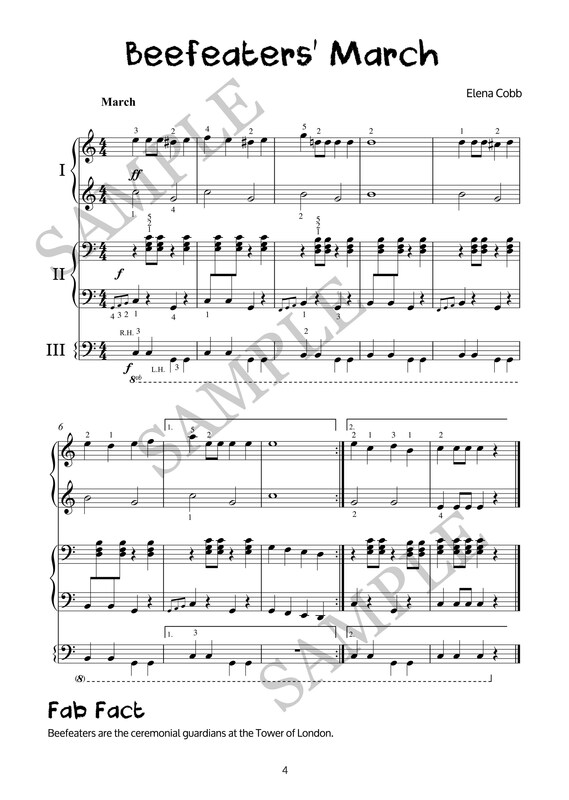 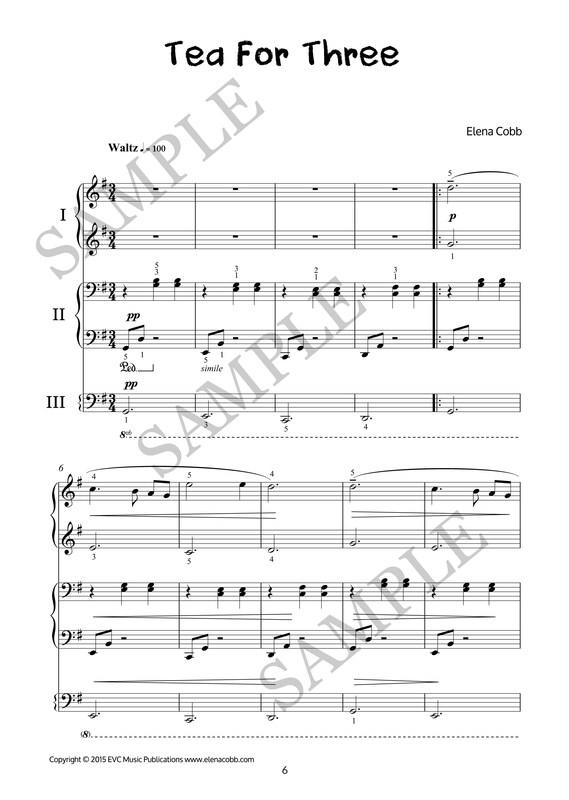 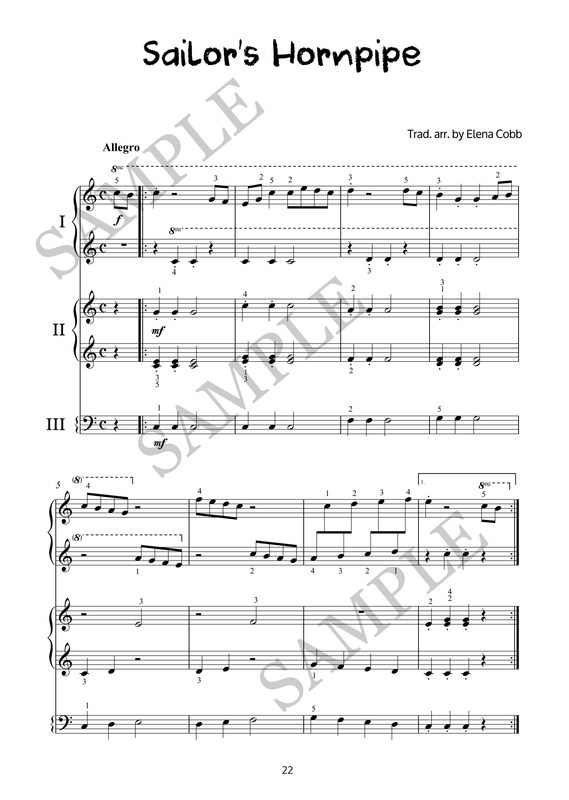 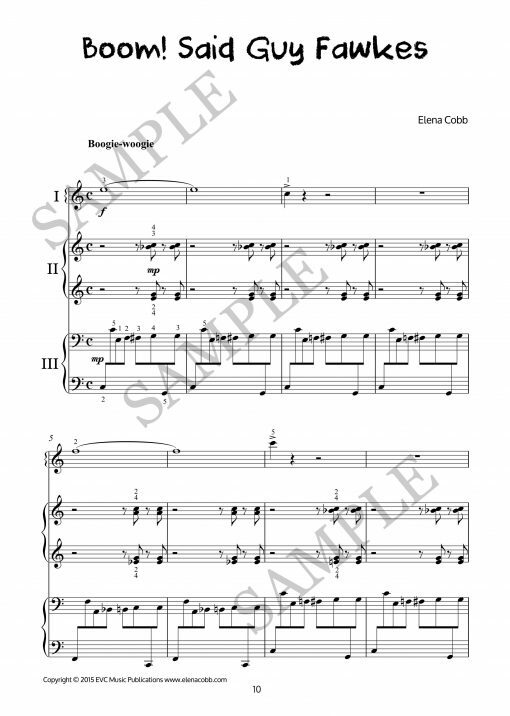 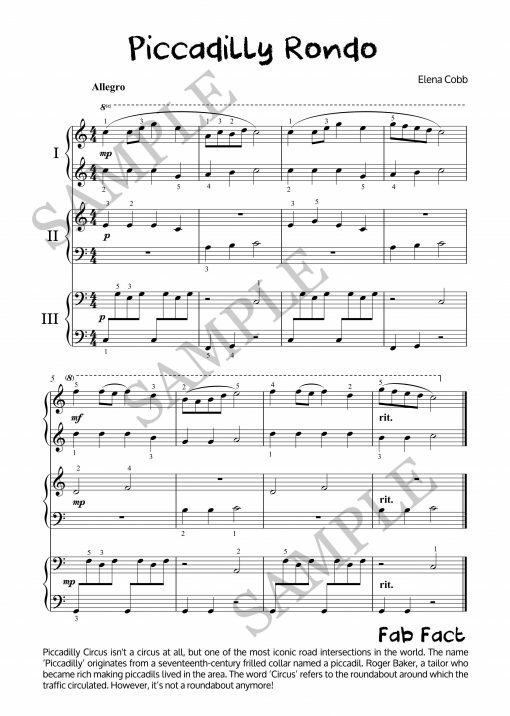 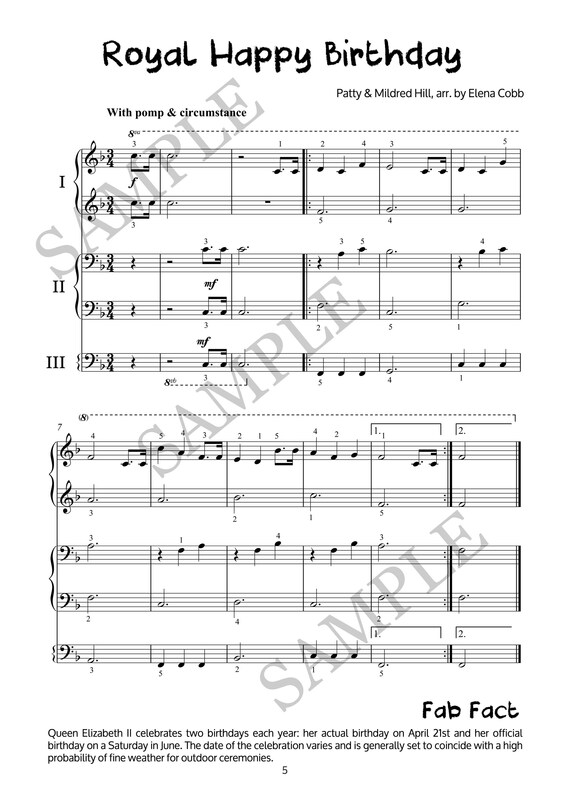 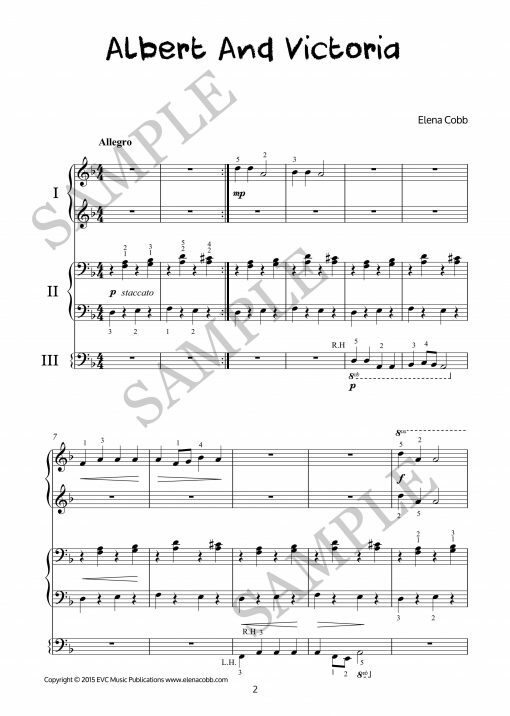 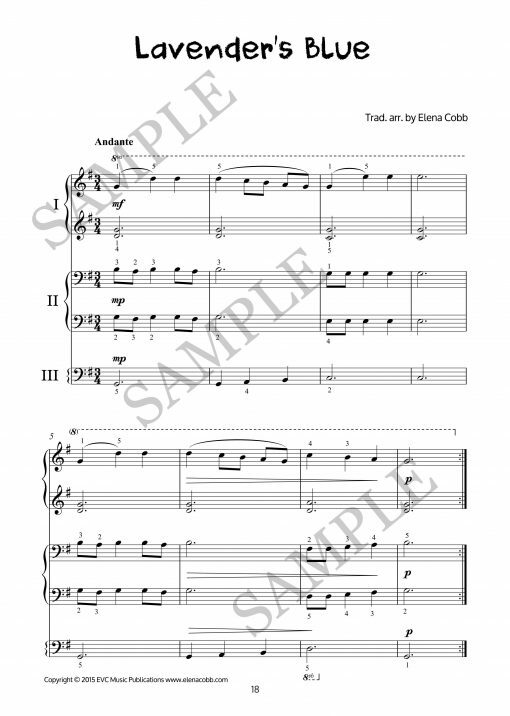 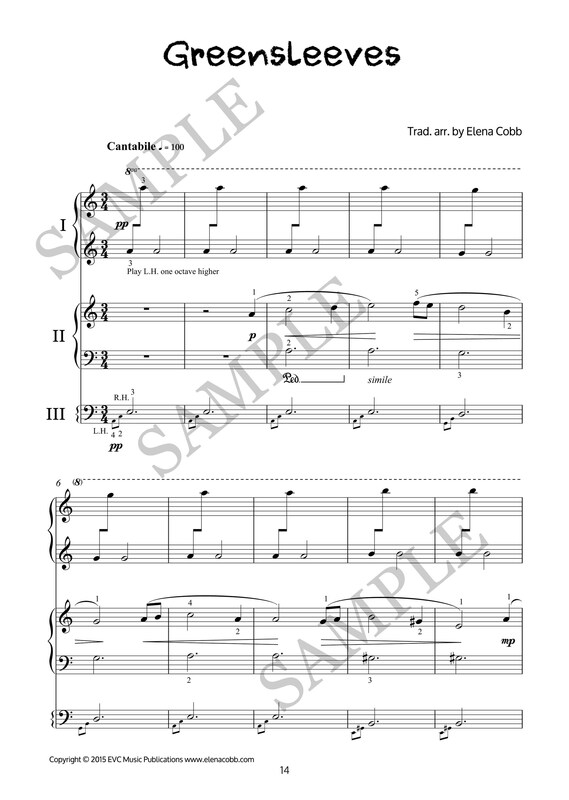 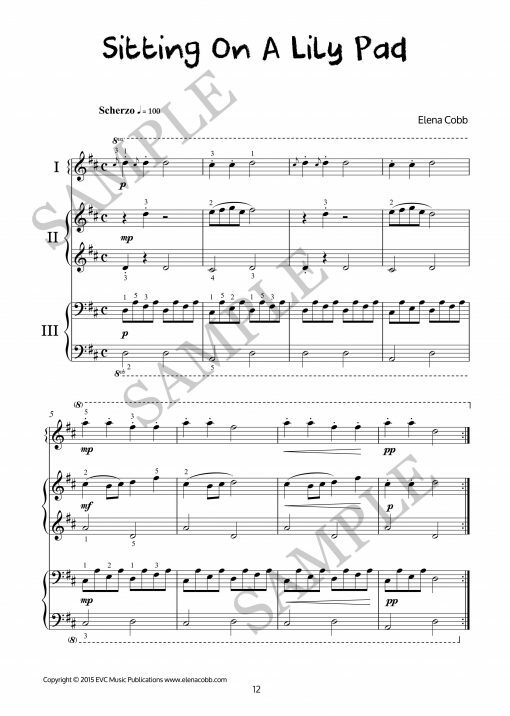 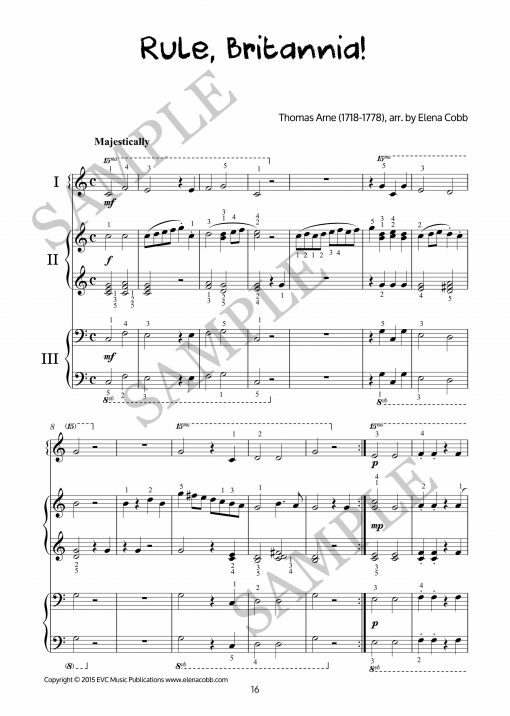 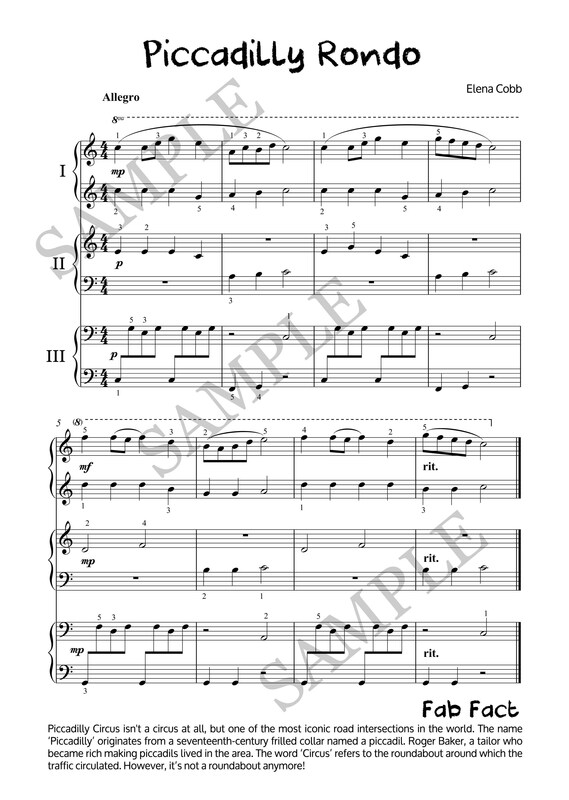 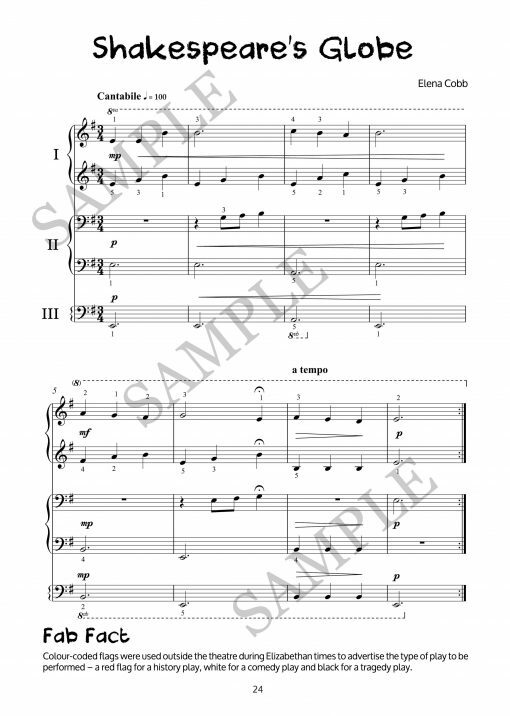 Book 2 features fifteen enjoyable piano trios that will serve as a great introduction to ensemble playing, recital performances and sight-reading for more advanced students. 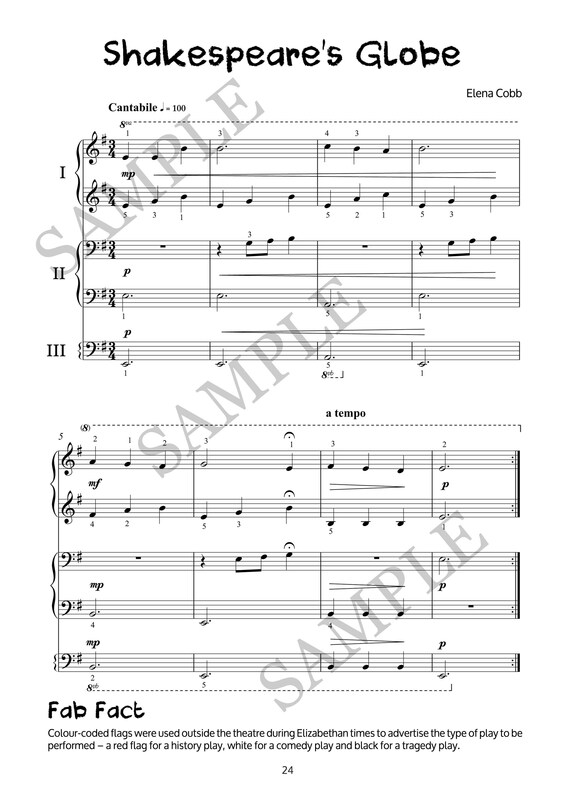 All pieces are well laid out on one or two pages. Each includes parts for three levels of difficulty for the beginner stages of learning to play the piano. 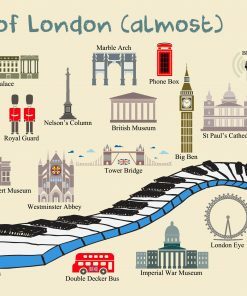 Fun facts about famous London landmarks were added to make learning experience even more special. 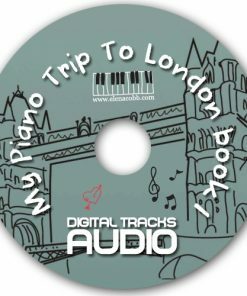 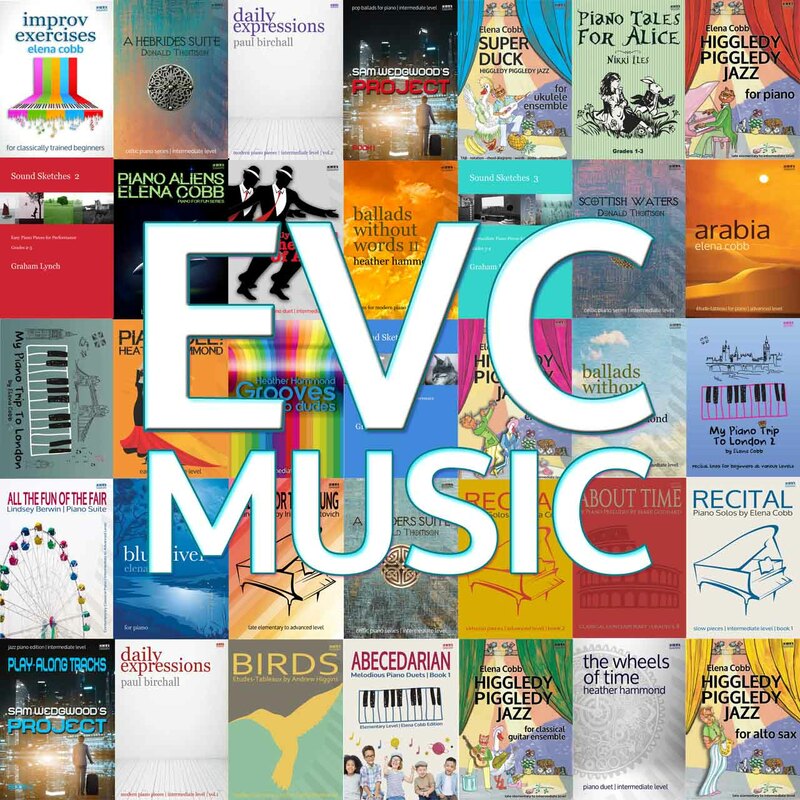 Includes original compositions and arrangements of famous classics such as Dance of the Sugar Plum Fairy, Greensleeves, Lavender’s Blue and more.